Which PHP IDE option should I chose? Wine is open source, it is FREE and it doesn't require the Windows license. This is very hard to beat obviously. Running PhpED on Mac or Linux with Wine is almost the same as running PhpED on Windows - Wine is the Windows API implementation and not a simulator. Unlike Parallels, Wine doesn't enjoy any commercial backing, it is pure open source application distributed as is. Another way to put it - there is nobody to yell at if it doesn't do exactly what you want it to do. PhpED team, however is always standing by of course, providing support for the issues related to the PHP IDE itself. Parallels is a commercial product, fully supported by Parallels, an SWsoft company. Even though we didn't count exactly, based on the feedback from NuSphere PHP IDE community we know that there is really a large the number of users running PhpED on Mac with Paralles. 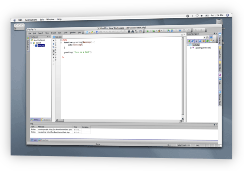 You can get familiar with both Wine and Parallels implementations of NuSphere PHP IDE for Mac and Linux by reading the material available at PHP IDE on Mac with Wine and PhpED on Mac with Paralles. 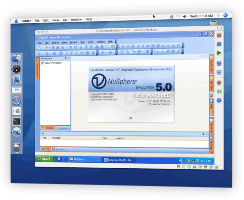 To learn more about NuSphere PHP Tools for Mac and Linux please follow this link or download FREE trial of PhpED - NuSphere PHP IDE for Mac OS, Linux and Windows and see for yourself.